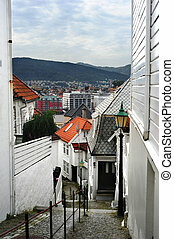 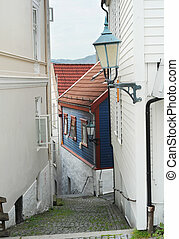 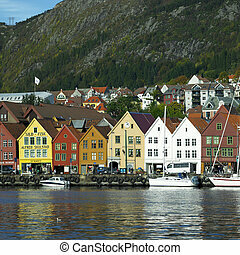 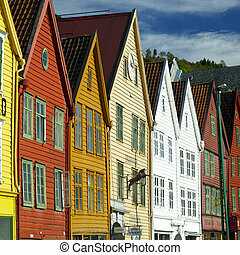 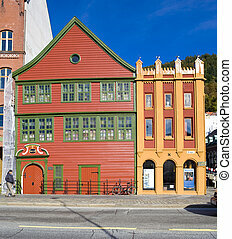 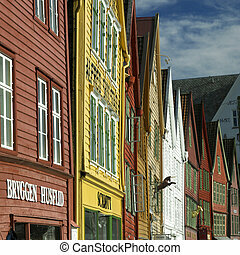 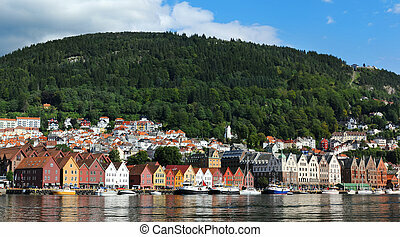 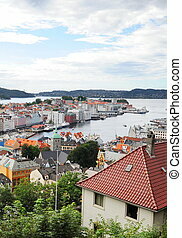 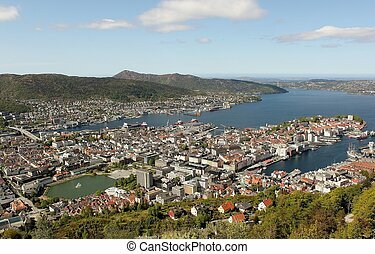 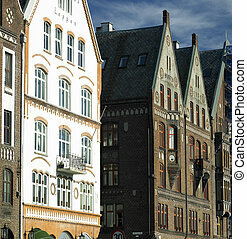 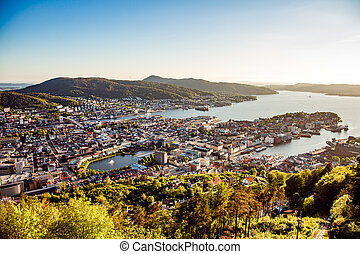 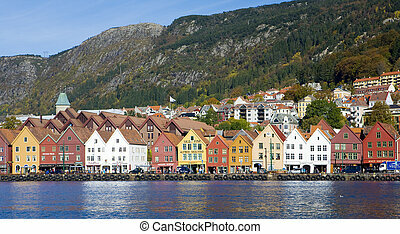 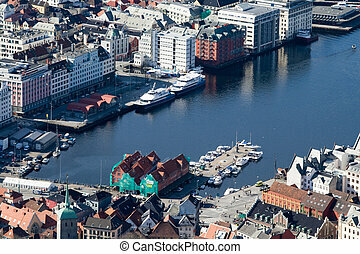 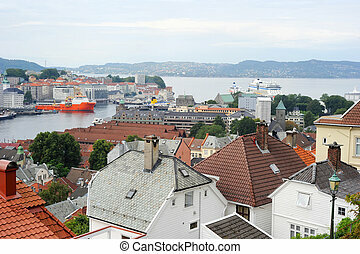 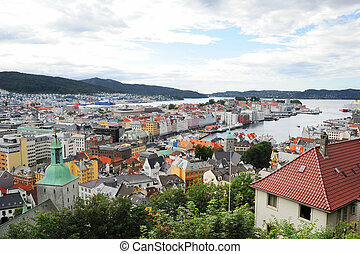 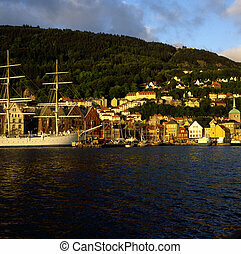 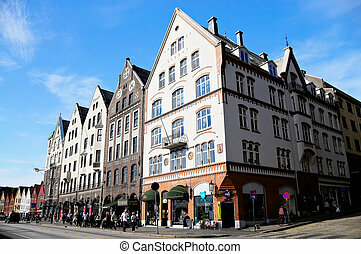 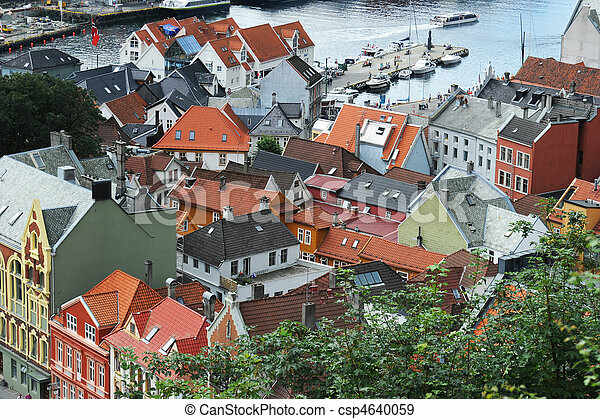 Beautiful city view of bergen, norway. 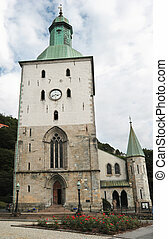 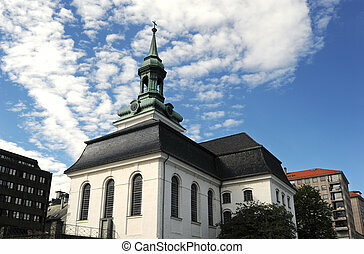 New Church ("Nykirken") as it is called, dates back to 1621. 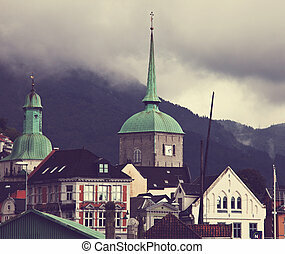 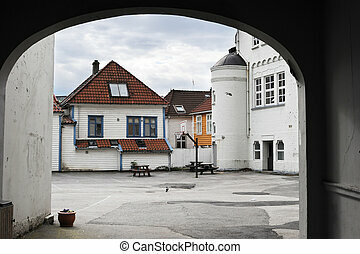 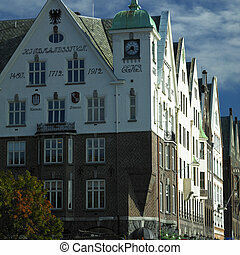 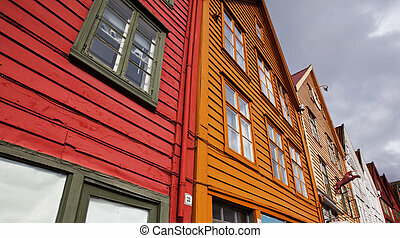 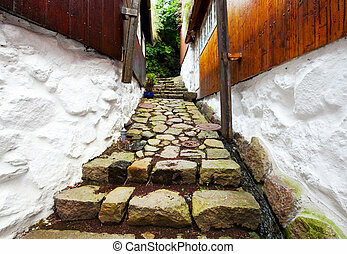 It was so named since there were already many several-hundred years old stone churches around the harbour (Bergen was officially founded in 1070, but a trading site were located there before that).